Google’s Justin Uberti has more information about Hangouts, the video conferencing app that will be available in Google+. To support Hangouts, we built an all-new standards-based cloud video conferencing platform. This platform combines high quality, low latency, and strong security with the ease of use of a web application. Through the efficiency of this new platform, we’re able to deliver a leading video conferencing experience at Google scale. Hangouts require the same plugin that’s currently used for voice and video chat, it’s limited to 10 participants and doesn’t work on mobile devices yet. Another interesting thing is that “hangouts are created by one person, but everyone in the hangout shares the ability to invite others. Each hangout has a specific URL. That URL can be shared as a link to invite others.” You can also use Hangout to watch a YouTube video with your friends. Hangout looks like a great Google Talk feature and I don’t see why it shouldn’t be added to Gmail and to Google Apps. 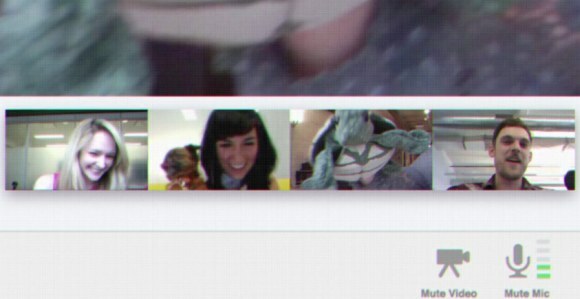 Video conferencing could make Google Apps a lot more useful.